“This little gadget is worth its weight in gold,” says Scott Bourne of www.Photofocus.com, who just awarded Zacuto’s Z-finder as “Photofocus Photo Product of the Year for 2009.” As the full range of DSLR cameras, such as the Canon 5DMKII and Canon 7D, gain in popularity, photographers and filmmakers are embracing the wave of convergence with enthusiasm. Thus, our product designers at Zacuto engineered the Z-Finder to allow DSLR cameras to have the correct form factor for video. The Zacuto Rapid is light and easy to handle and has no baseplate or rod platform. Everything is quick releasable. The user can quickly free the camera from the gunstock by flipping the lever on the quick release tripod plate. The Rapid Fire is our most basic gunstock shooter weighing only 1lb 6 oz. It has 2 points of contact by using the gunstock in your chest and your hand on the camera. With the Z-finder you have another point of contact. 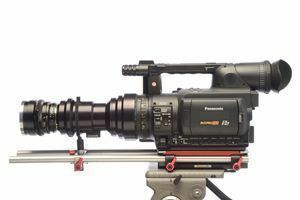 The Z-Finder is Zacuto’s Optical Viewfinder that allows DSLR cameras to have the correct form factor for video. It offers 3x focusable magnification, a 40mm diameter lens, an eyecup preventing extraneous light leakage, and a field of view perfectly matched to LCD screens. With Optics by Schneider, this 6 oz viewfinder is a filmmaker’s best tool for creating precision focus. The Z-finder currently fits the Canon 5d, Canon 7d, Nikon D90, Panasonic GH1 (see note below), and many other cameras. The Z-finder is made to fit a 3” diagonal screen but other factors come into play such as button placement, slanting of the camera viewfinder etc. Please see below for interior dimensions of the Z-Finder. The F-Stop Training DVD is a great tool that tells you everything you need to know about shooting hd video with the Canon 5D Mark II or the Canon 7D. The DVD has multiple chapters ranging from essential equipment needed to workflow. This is an essential tool for learning to shoot video with the Canon 5D Mark II or 7D. Our Zacuto Cinemek G35 Docu kit is designed for use on a tripod, dolly or Steadicam with the Cinemek G35 DOF (depth of field) 35mm lens. A DOF adapter allows you to use Nikon, Canon or Zeiss still lenses and achieve the same shallow DOF as 35mm motion picture film. Zacuto recently released the Zgrip iPhone Pro at $295 and promised a consumer version was coming, well, here it is the Zgrip iPhone Jr. at $69 With the Zgrip iPhone Jr., you have many of the same features of its big brother, Zgrip iPhone Pro minus the adjustability. The Zgrip iPhone Pro has more adjustability but both give you the key feature which is stability when shooting with the iPhone 3Gs. 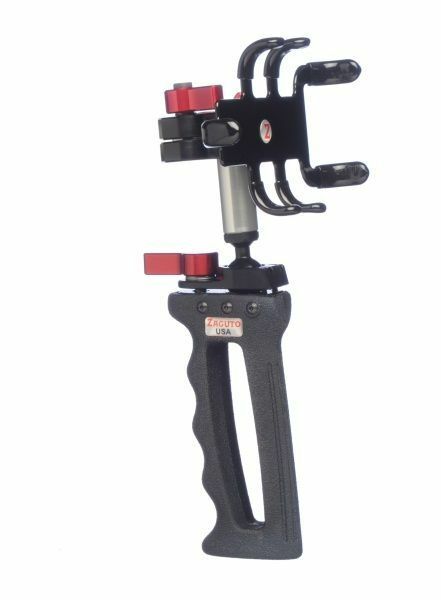 Zgrip iPhone Jr. is a handgrip system for shooting professional stable video using the iPhone 3Gs. The iPhone 3Gs snaps into the iPhone cradle which is attached to the handgrip. The handgrip has a ¼ 20” thread on the bottom so you can mount it to a tripod. It also has a ¼ 20” thread on the top for mounting accessories such as a light. The Zgrip iPhone Jr. is developed by Zacuto the leading indie camera accessories maker in the professional market. All Zacuto products are designed and made in the USA and have a lifetime warranty. Tags: iPhone, Zacuto, ZGrip Jr.